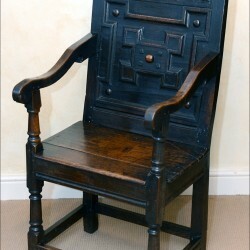 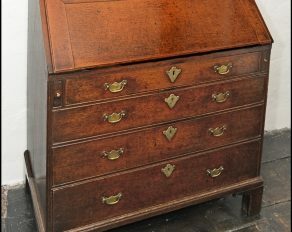 Categories: Oak & Country Furniture, Period Oak, Seat Furniture. 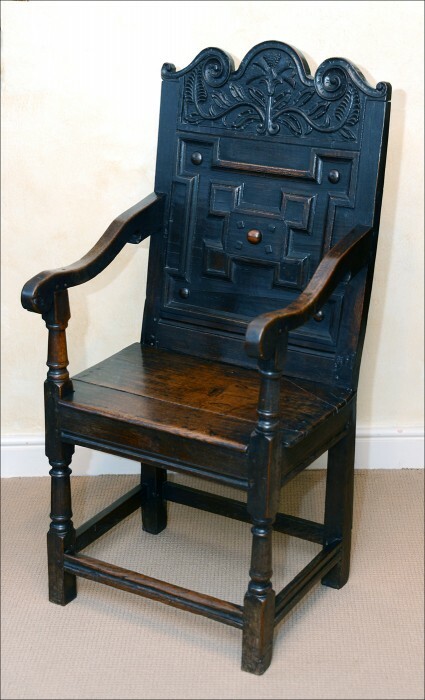 The geometric moulded back panel with fruitwood ovals and carved cresting rail set between the uprights. 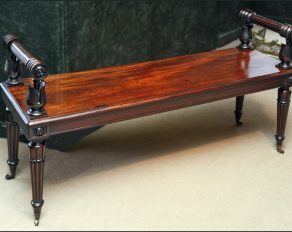 The turned shaped arms with solid seat supported by Doric moulded legs and moulded stretchers.